Published by Joshua Clare-Flagg on 20 Feb, 2017. 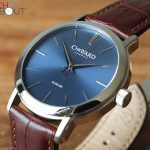 Christopher Ward released the latest iterations of their long standing Malvern range earlier this month. The obvious change was the new logo; but there’s more to the Mk3’s than just that. 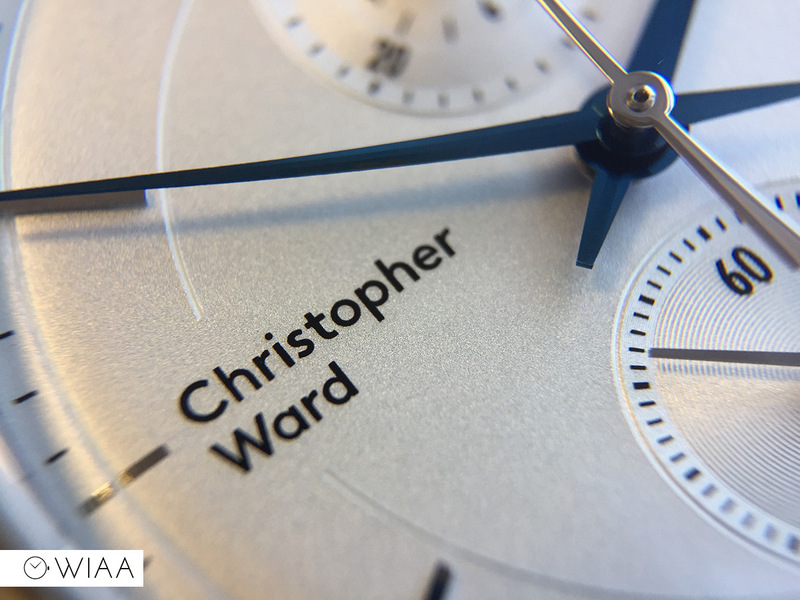 They feature the brand new case shape; and this model – the C3 Chronograph – has a new movement within which alters the dial configuration completely. 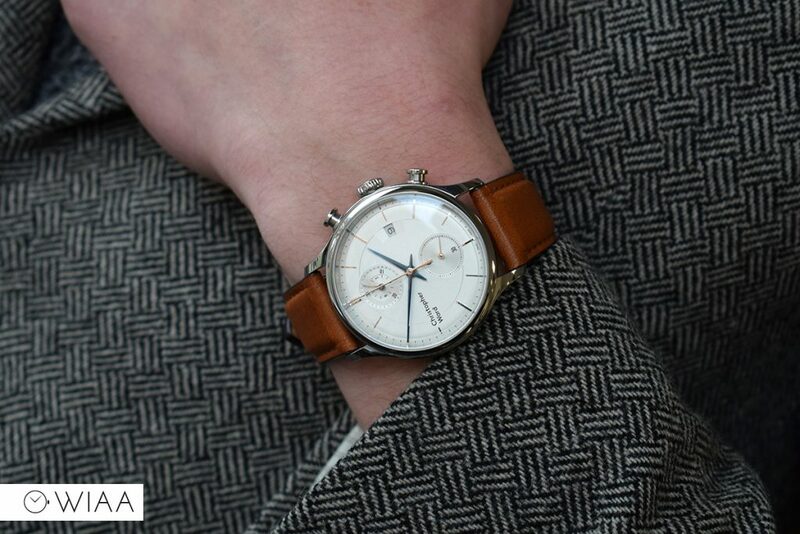 Before, the subdials were laid out at 10-2-6, but now we have a hint of IWC Portugieser thanks to the 12-6 layout. 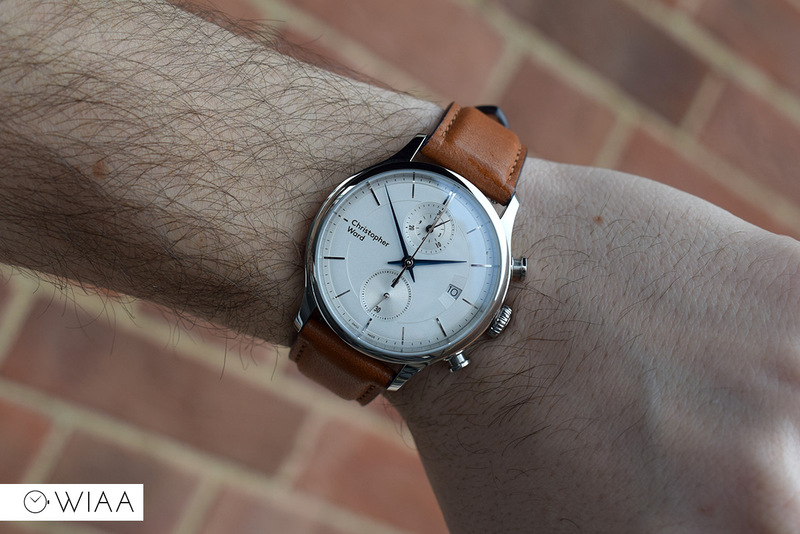 Costing £350, it’s still a great price for a Swiss Made chronograph, so let’s take a closer look. 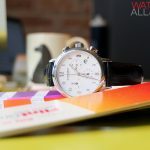 I’ve only had the watch for less than a week, so here are my brief thoughts. 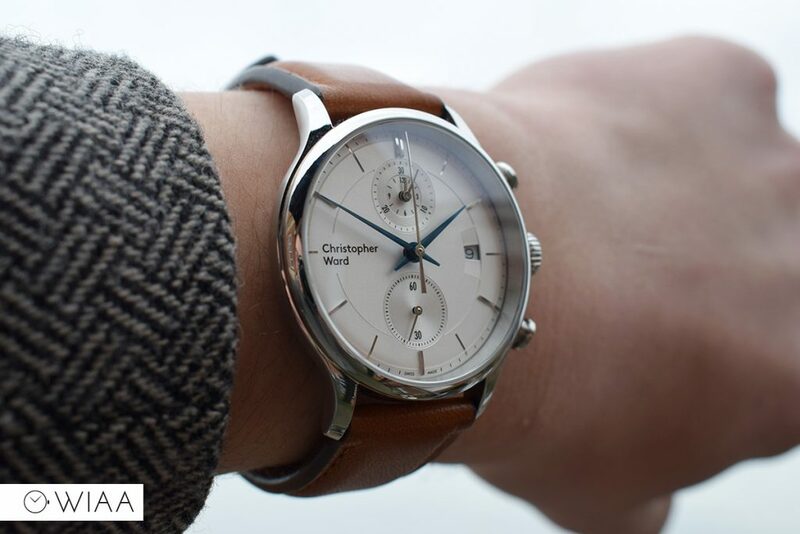 The dial on this model is a classy off-white champagne colour. 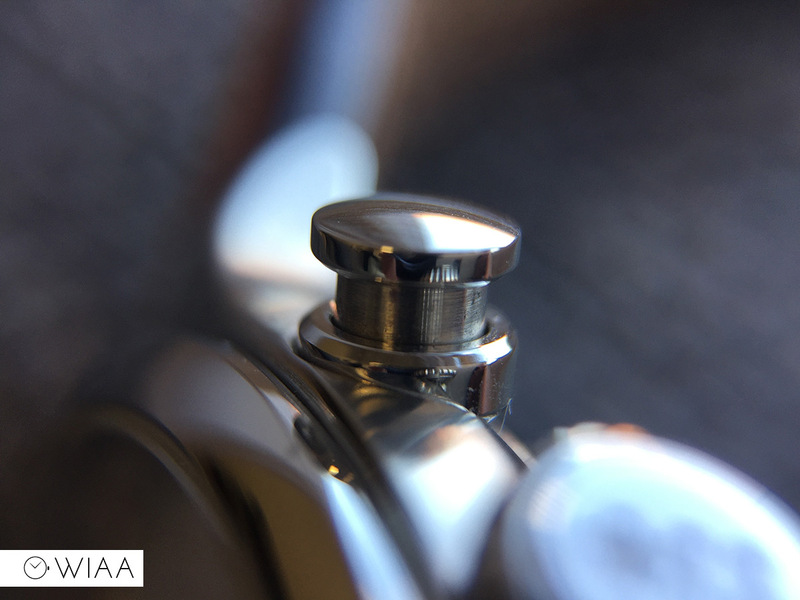 The dials are available in a domed opalin (this one) or sunray (like the C5 Mk III I reviewed here) finishes. 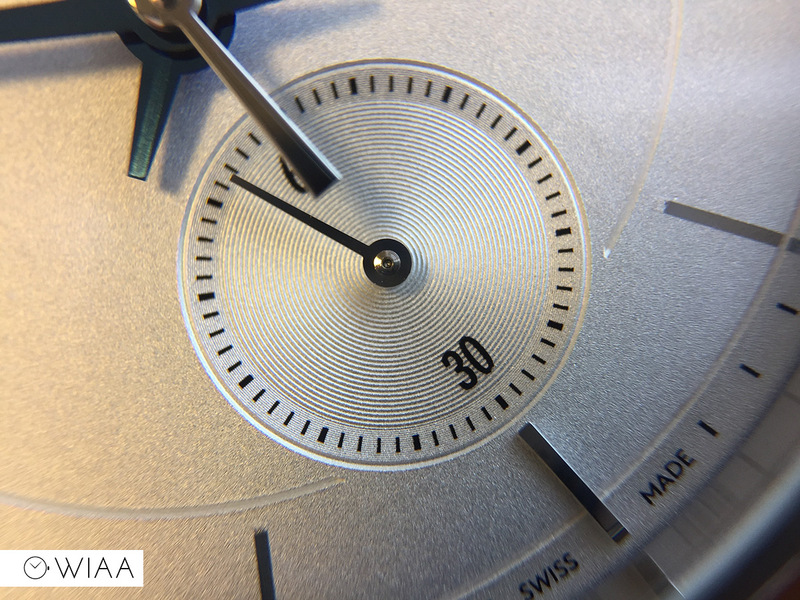 The sub-dials have a very light concentric circular pattern at a lower level, providing gentle depth and texture to the dial. 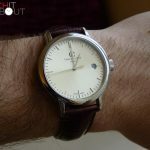 I like them being located at 12 and 6, as mentioned previously I think it’s a classy layout which lends itself to an IWC Portugieser. The beveled date window is an interesting design. 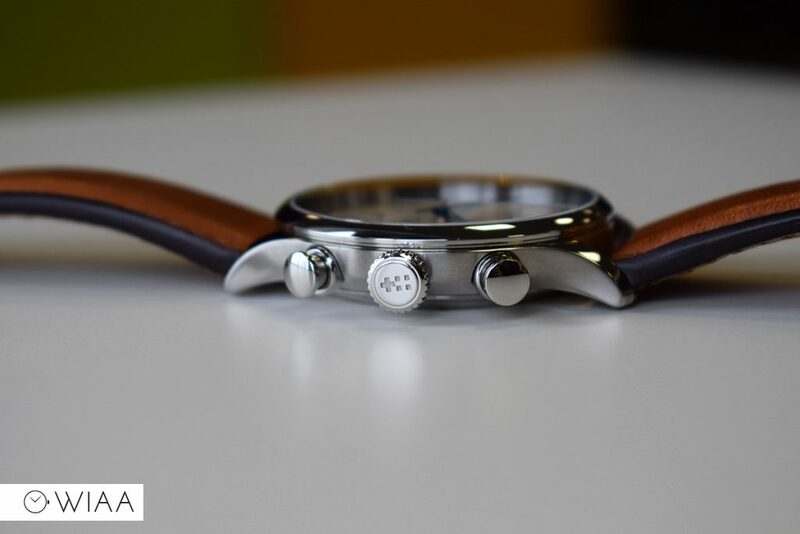 It has two cambers above and below which introduce the wheel itself with the dial. 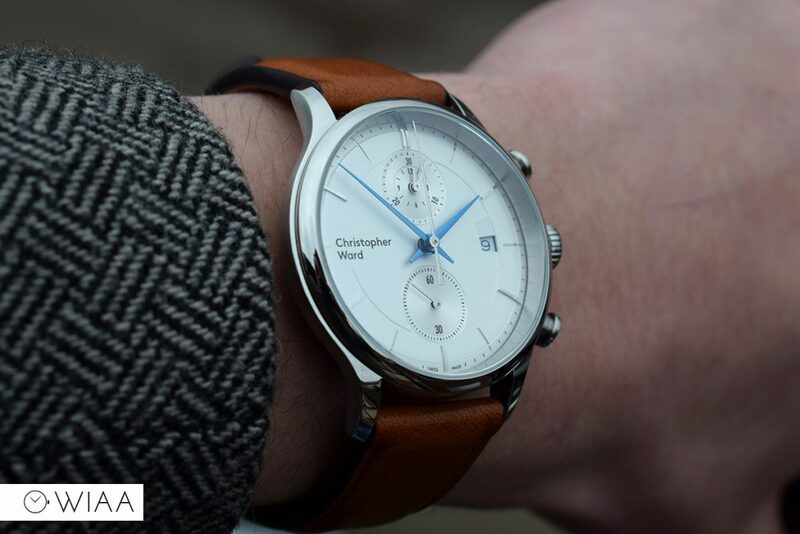 The main minute and hour pitched hands are blued, which are a classy touch and works well with the off-white dial. They also provide good legibility as the other hands are all steel colour, so you don’t get distracted by them. 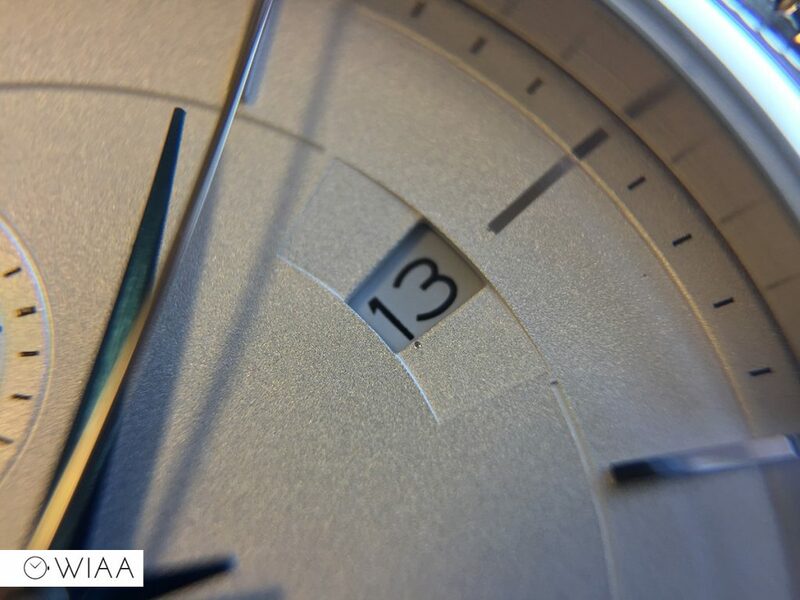 The dial features polished applied baton hour markers – but you need to be aware that they are located at every other hour. This is a design feature, but personally I would prefer to have them at every hour as I’m not too sure why you wouldn’t. At the base of the hour markers is a fine channel which splits the dial up. The left-aligned logo is at 9, and I think it looks perfect on this watch thanks to the subdial layout. 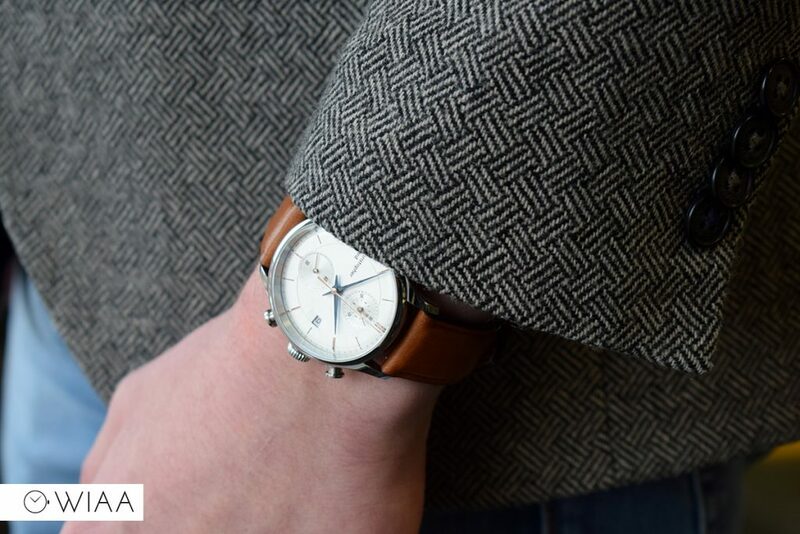 The dial as a whole is well executed and looks quality. The new Malvern style case is very fluid and features “light catcher lines”. 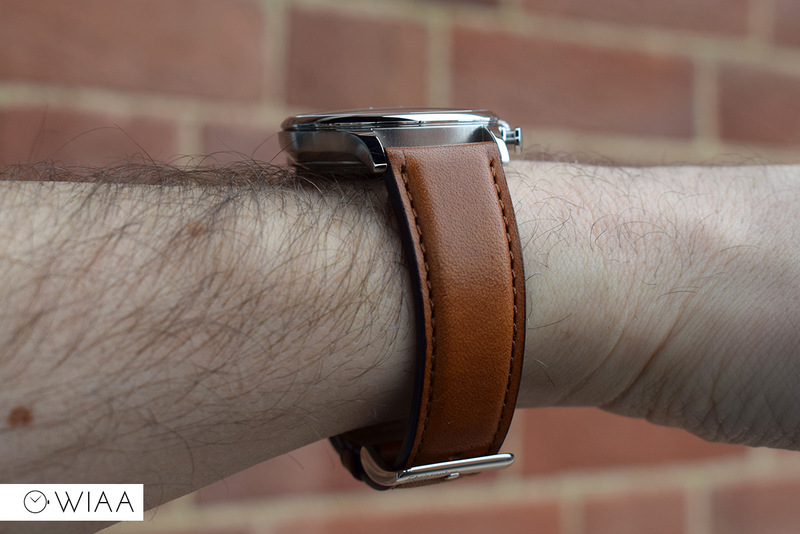 It’s an incredibly pleasant design, which create a slimmer profile on the wrist. 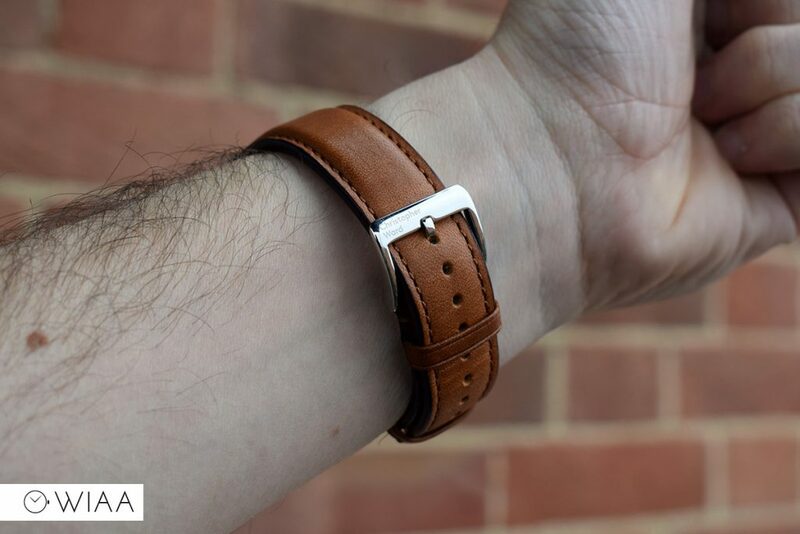 This results in it being very comfortable on the wrist, especially as the diameter and weight is already easy to wear. 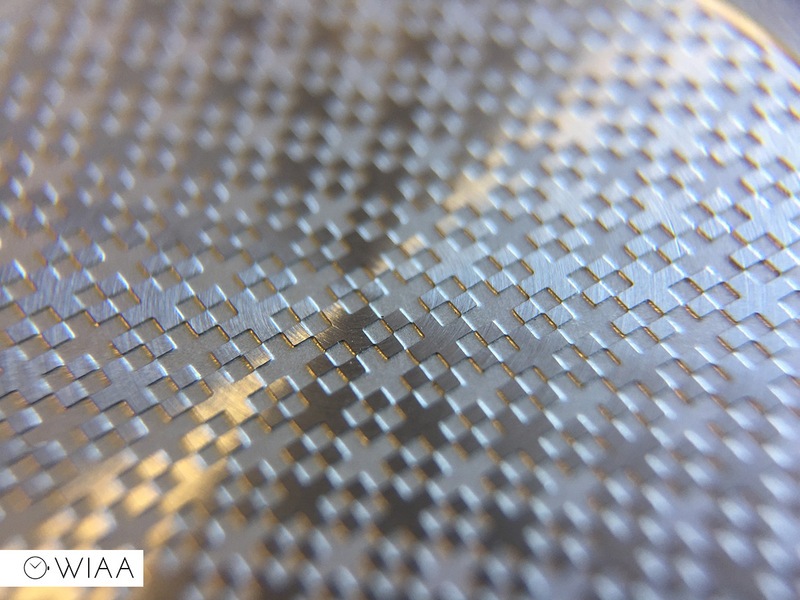 Whereas the C5 Mk III and the C1 Grand Malvern cases are fully polished, here we have brushed sides. 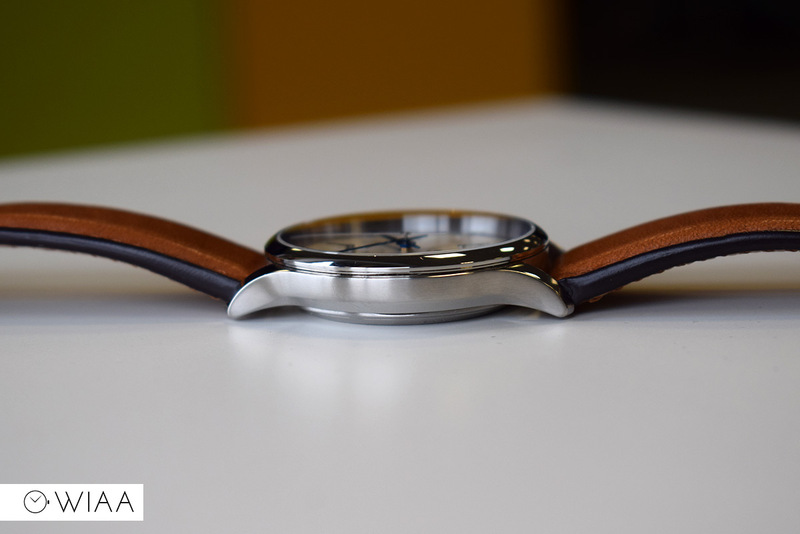 The polished facets include the top, bezel and caseback. 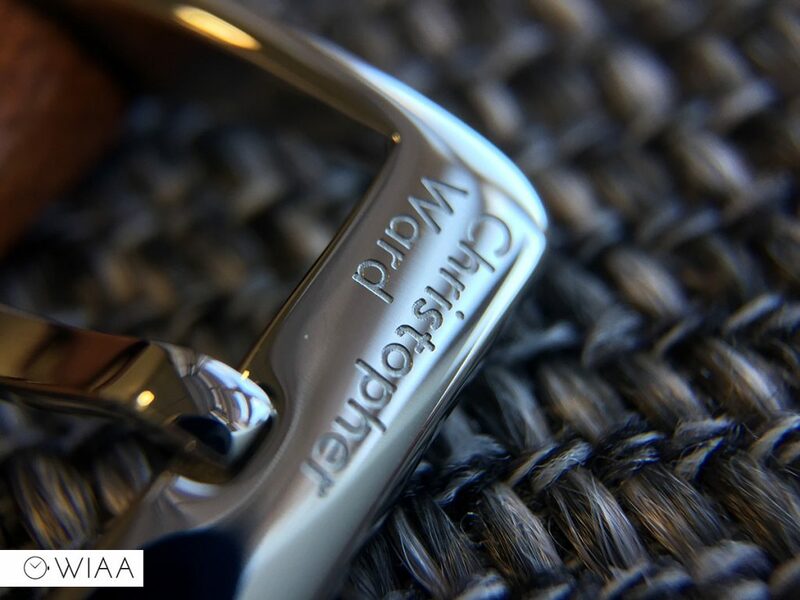 The introduction of the brushed finish makes this model slightly more casual, therefore a bit easier to wear in day-to-day life. The piston-inspired pushers are great to look at and easy to use. They feedback well and give you a nice click. 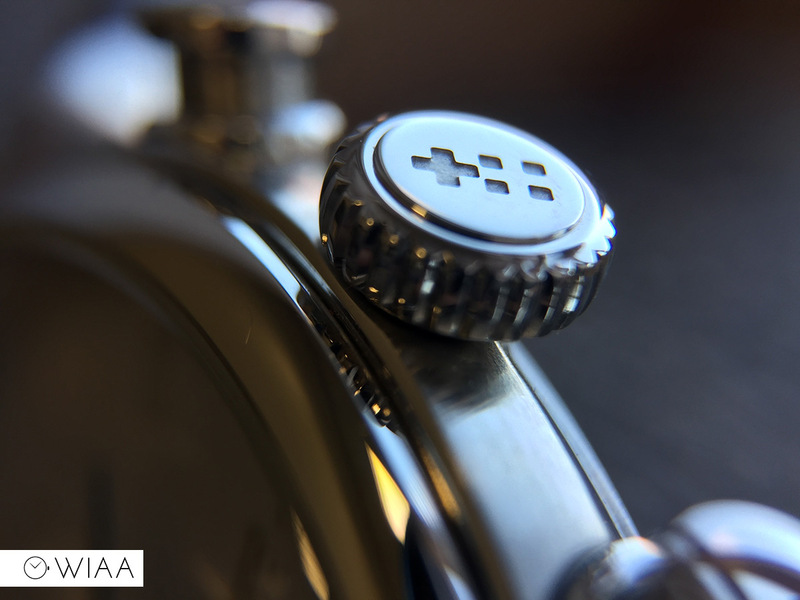 The push-down crown feature the twin-flag motif deeply and accurately engraved. 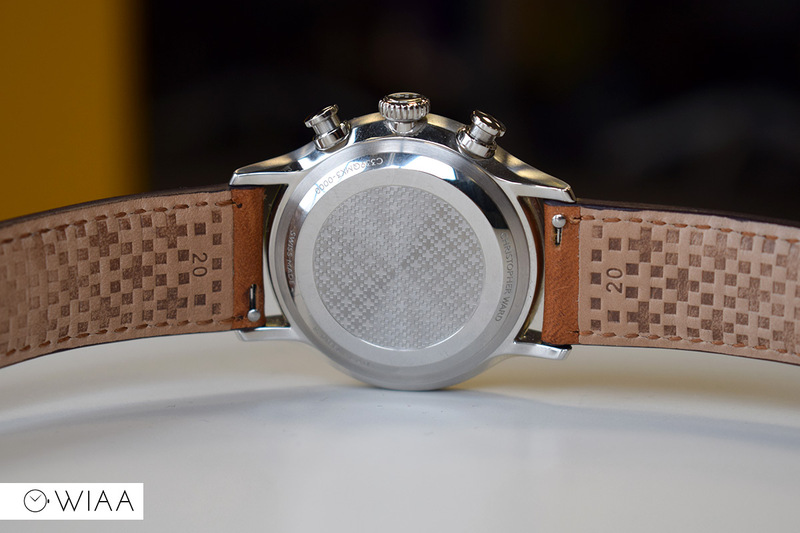 The twin-flag also features in the centre of the caseback, which has an engraved centrepiece with specifics surrounding it. 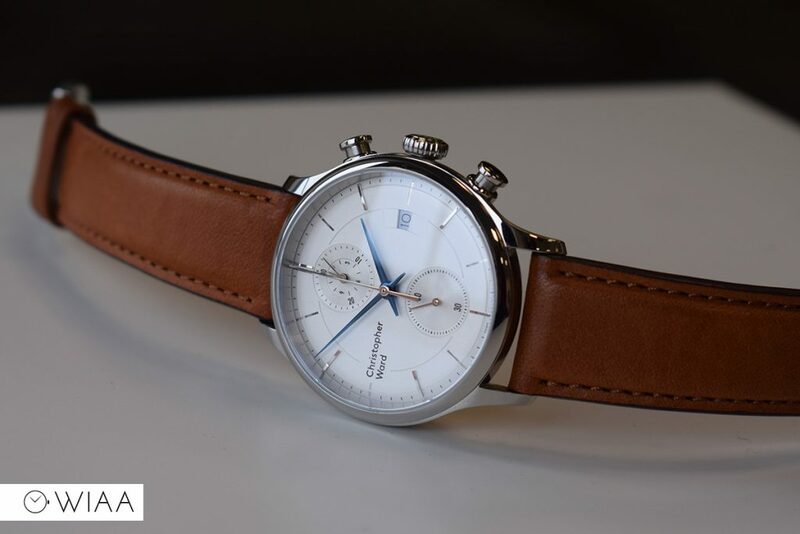 Sitting on top of the dial is a domed sapphire crystal, with an effective layer of anti-reflective coating. 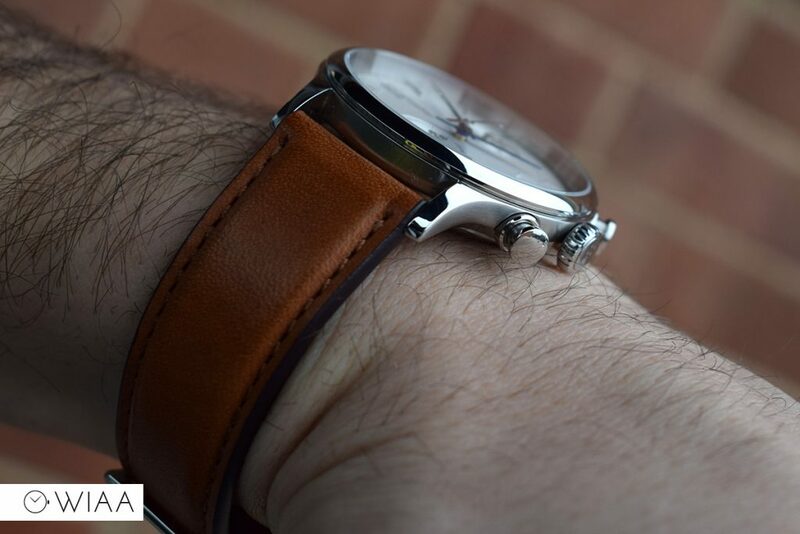 As is always the case with Christopher Ward, the strap is made of very good quality leather. It’s comfortable, soft and supple. It also has the twin flags pattern printed on the underside. 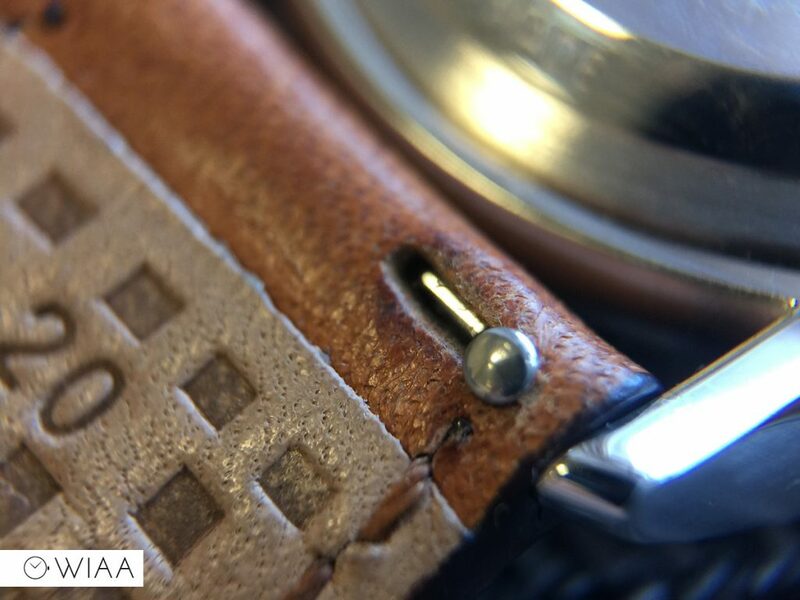 The width is 20mm wide at the lugs, reducing down to 18mm at the buckle – the perfect size to match the dimensions of the case. 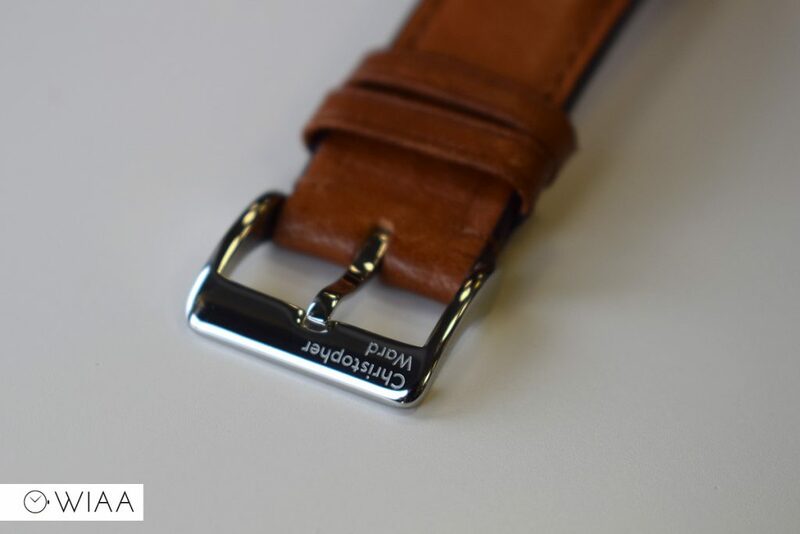 The strap features quick release pins; something that should be on every strap going in my opinion – they just make changing straps so easy and ensure no tool marking if you need to remove them. 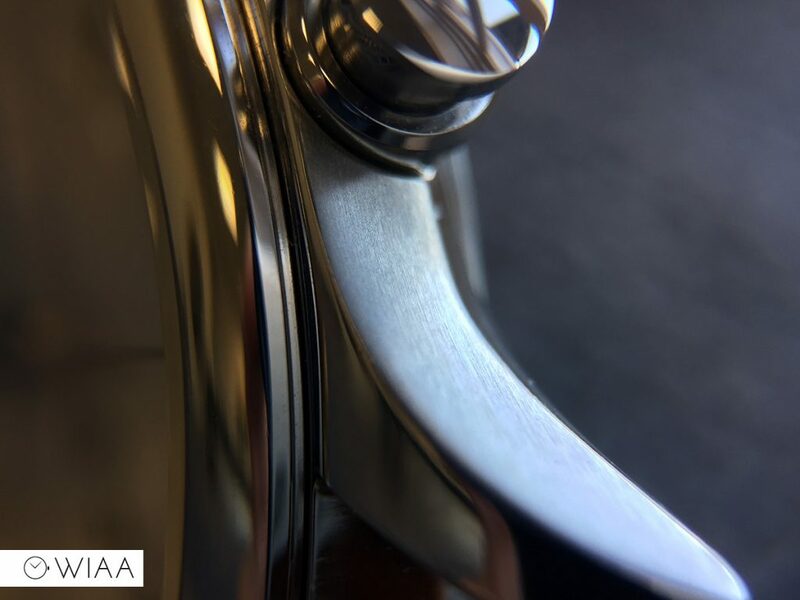 The polished tang buckle features the left aligned Christopher Ward logo deeply engraved on the one side, which looks in place nicely. 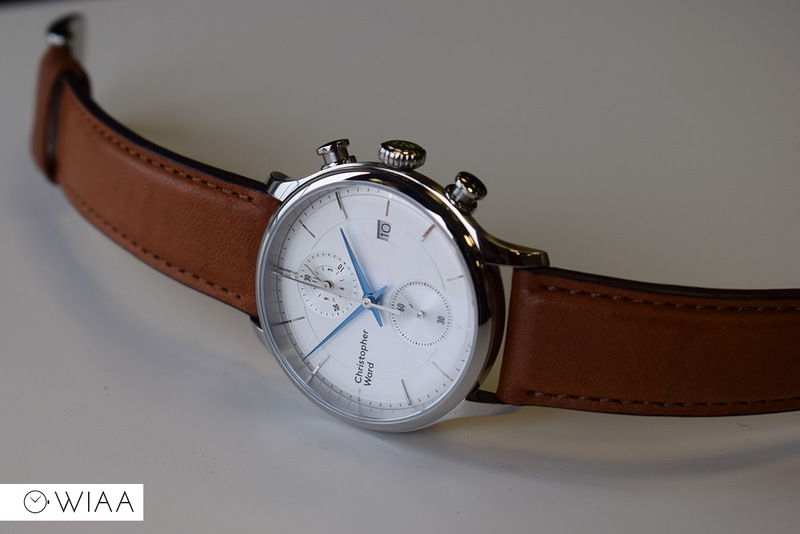 The movement powering the C3 Mk3 is the quartz Ronda 3520.D. It’s not a movement I’ve come across before, but I do like what it offers. 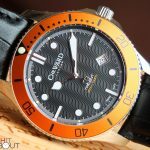 Firstly, the setup of the subdials located at 12 and 6 is a little bit different, plus it offers a full 12 hour chrono which is unusual for a quartz. 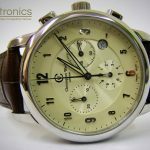 The big second hand is the running chronograph seconds, whilst the running seconds is located at 6. 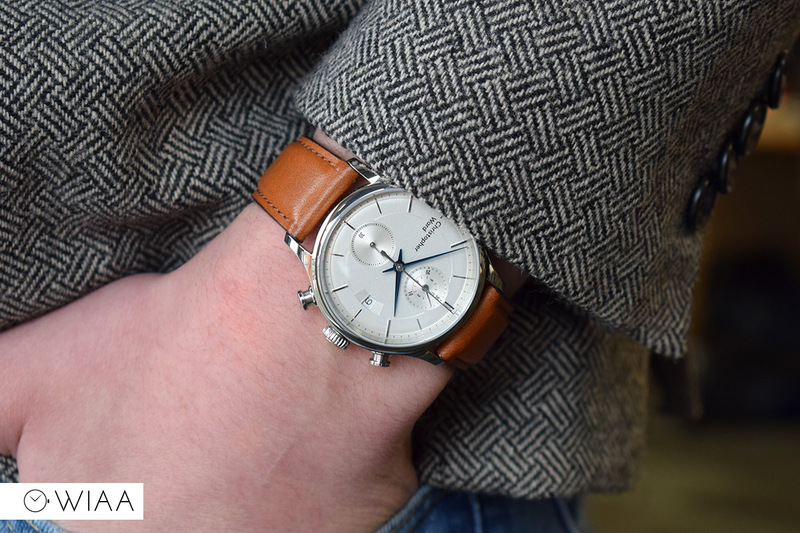 The subdial at 12 contains 2 hands, which displays the minutes and hours of the chronograph. Each rotation of the minute hand is 30 minutes. It’s Swiss Made and battery powered, boasting 4 jewels and is gold plated. It has a 54 month battery life. 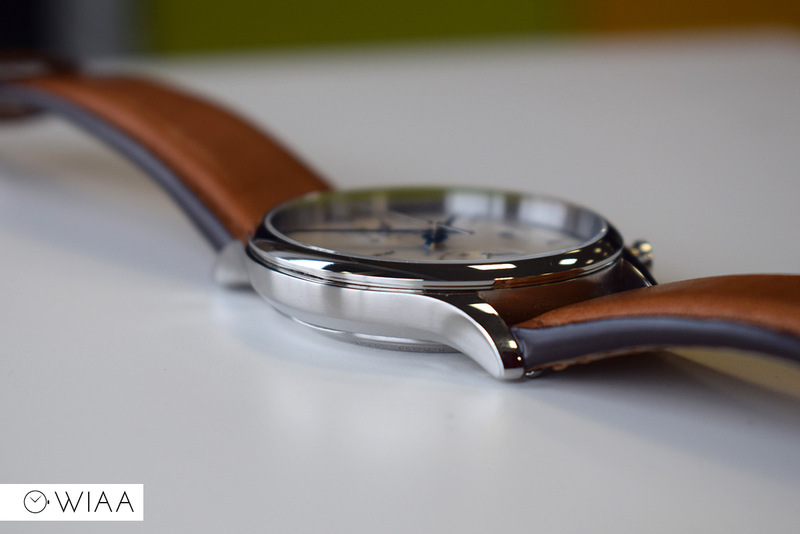 The movement is practical, will prove to be reliable, and a little bit different too. 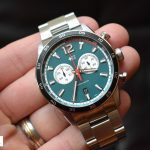 It’s a shame the C3 Chronograph has seen a price increase (I reviewed the Mk II here, priced at £250), but it’s obvious to see that the watch in itself is higher quality. The obvious contender for this is the lovely new case, which is a splendid shape and equally as well finished. The dial itself also looks a lot better. It feels that the overall quality has been upped, which in my mind is a good thing – at least the price hike has a reason behind it and you are getting more for your money. 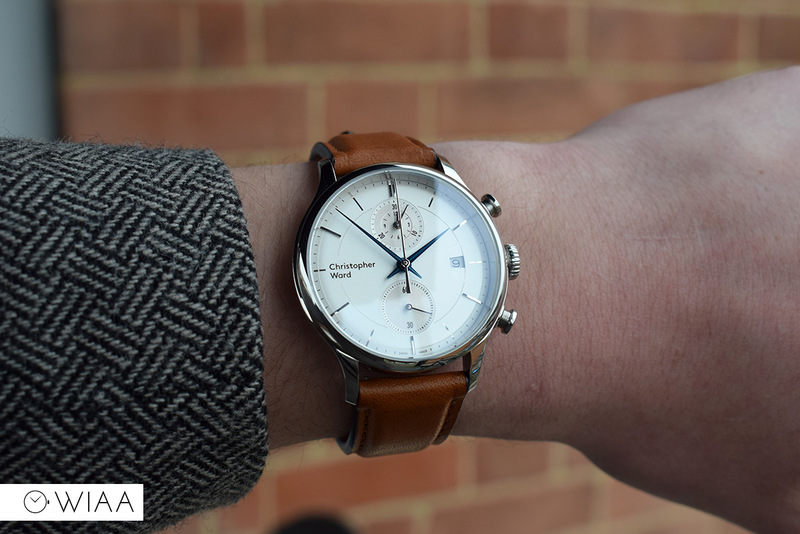 It’s a lovely looking watch, and £350 is completely suitable for a Swiss Made quartz chronograph. Don’t forget you get a 5 year warranty with Christopher Ward watches, as well as great customer service; something that is worth something on its own. The only thing to be aware of is the hour markers missing on every other hour. 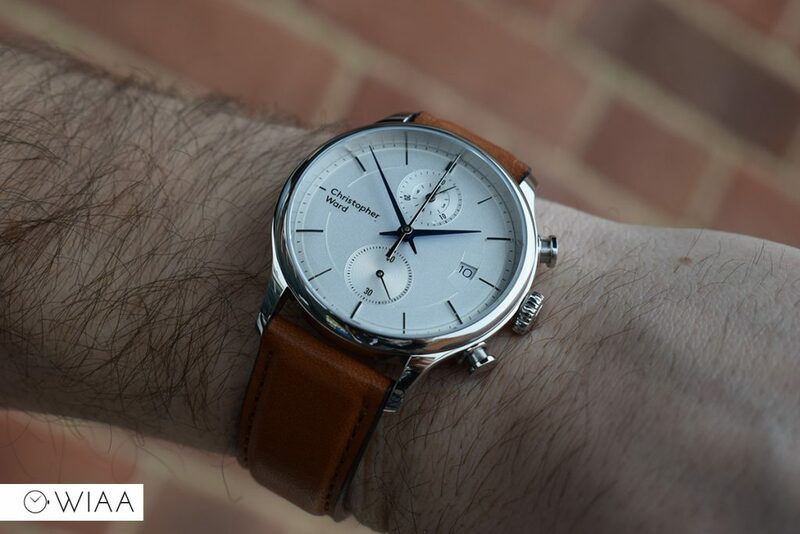 Not usually one for quartz movements but I’m starting to feel the need for a quartz chrono in my life. Especially when it looks this good.